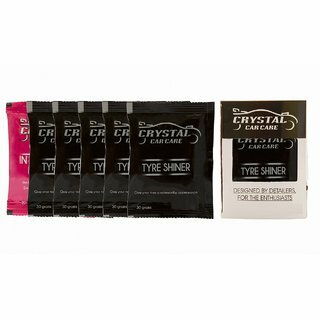 THIS SPECIAL FORMULATION KEEPS TIRES LOOKING SHINY AND BLACK. CAN ALSO BE USED FOR BLACK BUMPERS, WEATHER STRIPPING AND HARD VINYL TRIMS. GIVE YOUR TIRES A NOTEWORTHY APPEARANCE. 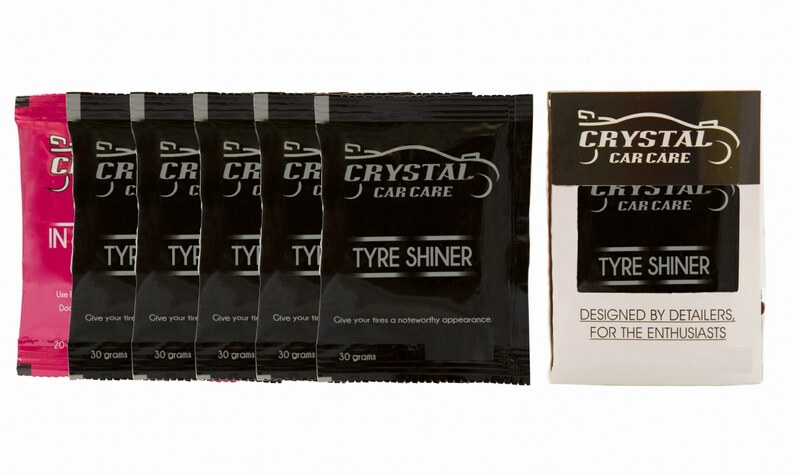 PACK CONTAINS 5 SACHETS OF TYRE SHINER AND 1 SACHET OF IN & OUT PROTECTANT. POUR A SMALL AMOUNT OF PRODUCT ONTO THE FOAM APPLICATOR AND APPLY A LIGHT COATING USING A CONTINUOUS MOTION AROUND THE TIRE AND LET DRY.